The 2013 Tour de Road America - BIKE RIDE TO FIGHT CANCER was another hit this year, successfully raising over $26,000.00 for the Austin Hatcher Foundation, Vince Lombardi Cancer Clinic and LIVESTRONG. Over $1,000 of that $26k was raised by me, thanks to all of my friends, family and fans who donated on my behalf. Oddly enough, my teammate, Johannes van Overbeek and I did NOT make the ceremonial start of the event as we were still in post-practice debrief meetings with our ESM/Patrón crew and engineering staff. 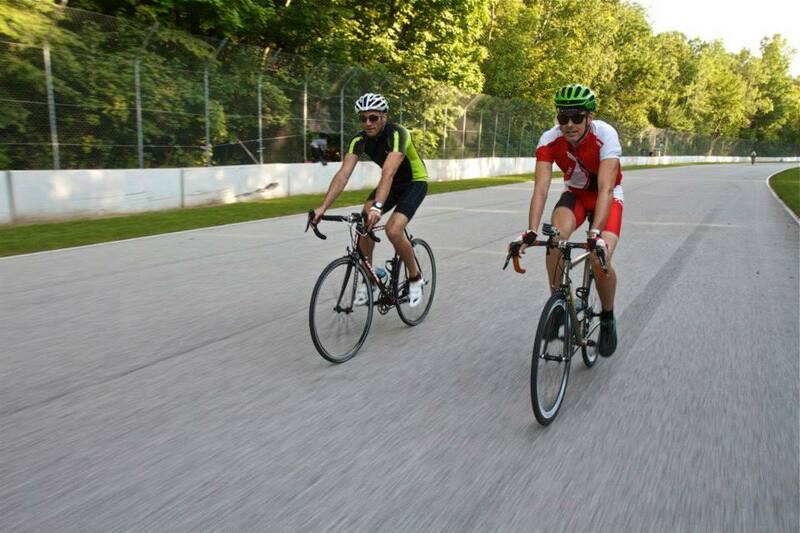 About an hour later, Johannes and I busted out our cycling gear, got on our bikes and hit the track. What a beautiful evening it was. Cool temps, setting sun and the smell of fans barbecuing throughout the infield made for an extremely peaceful and enjoyable ride around an already amazing place. To shorten our ride even more (unfortunately) we only had time to ride two laps as there was a team dinner we needed to attend with some VIP's from Tequila Patrón. But although our ride was brief, it was great to participate in such a wonderful event, to help make a difference by raising money for these charities and be out there with a bunch of friendly, happy race fans and cycling enthusiasts. Definitely good times had by all! Here's some ride data from STRAVA, a few pics from the ride, and a funny video as well. Thanks again to all of you who supported my efforts for the event. Together we can make a difference!